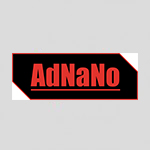 AdNaNoTek’s UHV Deposition Systems (MBE, PLD, IBSD, ALD, MSD, EBE, TE, etc.) are guaranteed to deposit extremely high quality thin films in terms of purity and uniformity. AdNanoTek UHV deposition systems are guaranteed to deposit extremely high quality thin films in terms of uniformity and purity of surface and interfaces. The state-of-the art system control software provides user-friendly interface that allows easy operation, precise parameter tuning, real-time process monitoring, and complete data logging.